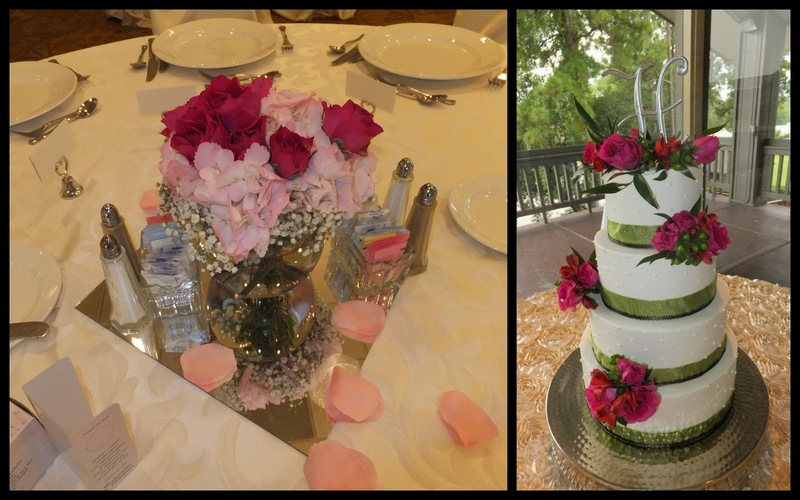 Filled with bright colors and warm summer days, July is never a disappointment when it comes to beautiful weddings. 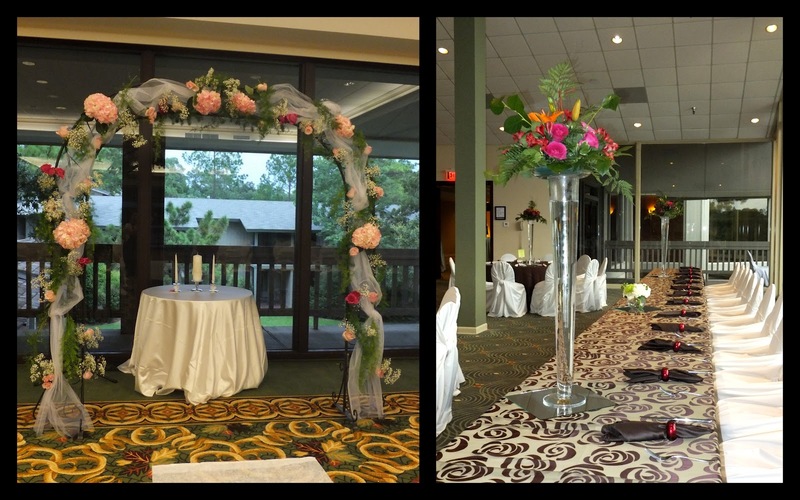 This stunning display of pink hydrangea hot pink roses, greenery and tulle across the arch created a soft background for the blushing bride and handsome groom. Their reception was held in the Emerald Ballroom at The Woodlands Resort and Conference Center. 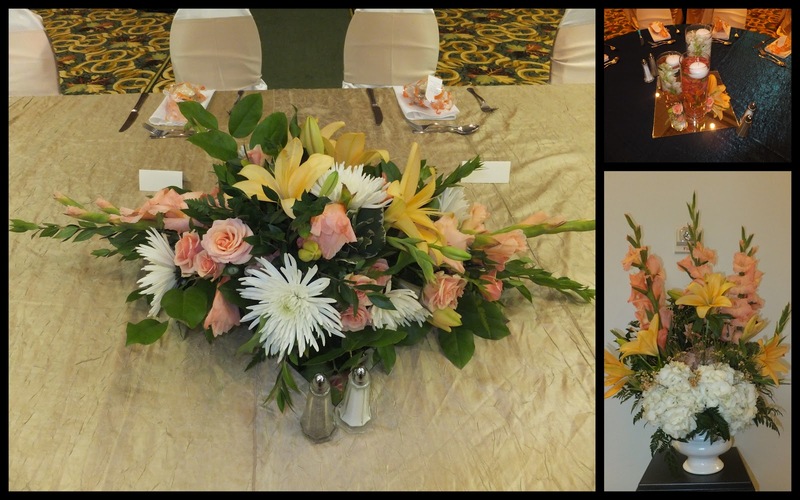 The tall centerpieces with orange lilies, hot pink miniature garden roses, and alstromeria were perfect accents of color throughout the room. Peachy keen! 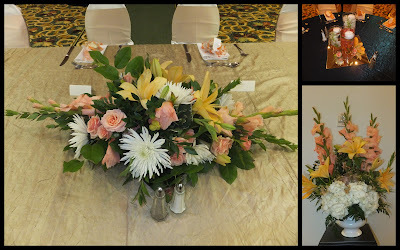 These beautiful salmon colored miniature garden roses white spider mums and orange lilies mixed together in low glass bowls coordinated perfectly with tall arrangements of gladiolas, hydrangea, and lilies. 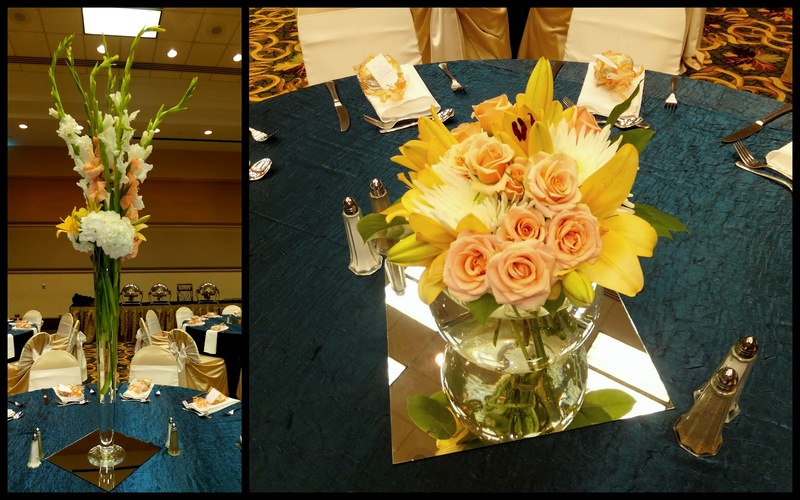 Long and low arrangements are perfect for long head tables where you don't want to block conversation or have a large tall arrangement in the middle of the bride and groom. Pink weddings are always popular. This reception held in the Emerald Ballroom of The Woodlands Resort and Conference Center. The contrast of light and hot pinks is a soft and fun pallet illuminating the ballroom with a feminine and romantic flare.